Barracuda Backup: Complete data protection for physical, virtual, and SaaS environments. Stop by to talk to our team about how easy it is to save time and money with this solution. Barracuda NextGen Firewalls: Secure and reliable connectivity for hybrid networks ranging from headquarters and remote offices to public and private cloud deployments. We have solutions and capacities for almost any scenario. Barracuda solutions for Office 365: A simple strategy of prepare, migrate, and operate to get you to Office 365 efficiently and once there, operate securely and productively. These presentations will run every 20 minutes and topics will rotate. Be sure to pick up a t-shirt after the presentation! 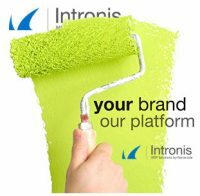 Our Intronis team will be joining us at VMworld. Intronis MSP Solutions by Barracuda is the single-source provider that delivers data protection and security solutions for businesses, exclusively through the IT channel. The team will be with us in booth #2239 and will have an Intronis demonstration pod available to show visitors the white label Intronis ECHOplatform and Barracuda MSP solutions. On Tuesday, August 30, Rod Mathews will be joining the hosts of theCube to talk about the latest technology trends and how we're helping our customers take advantage of these new opportunities. 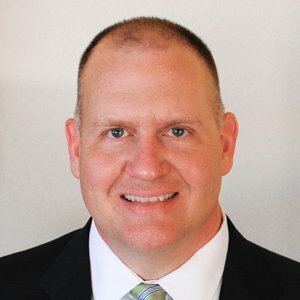 Rod serves as SVP & GM, Data Protection Business for Barracuda. He directs strategic product direction and development for all data protection offerings, including Barracuda's backup and archiving products. He will be on live at 11:00am PST. To watch the interview, stop by the set of theCube, or watch live online at live.siliconANGLE.tv. You can also watch live or on-demand on theCUBE Mobile App for iOS or theCUBE Mobile App for Android. The show will be archived on the SiliconANGLE YouTube Channel and SiliconANGLE.tv. On Wednesday, August 31, Rod will be giving a presentation at 10:50am in Theater A on the Solutions Exchange Floor. Rod will be discussing the challenges of securing and protecting data when “Data is Everywhere.” You can connect with Rod on LinkedIn here. Barracuda provides solutions for application security, email management, and network security for VMware and VMware vCloud Air. We are a VMware Technology Alliance Partner and Barracuda Backup carries VMware Ready status. Join us at VMworld to learn more about this and our other award-winning solutions.